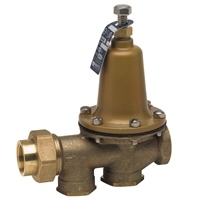 Looking for dependable plumbers for pressure reducing valve installation? Our plumbers are glad to do your PRV Install. Call Dependable Plumbing Company, an expert PRV Installer! We understand when you have a need for PRV installation you need the right plumber for the job. Our plumbers have in-depth knowledge of PRV Installs that will work best for your home or office. You name it and our team can do it. While we are at your home doing the pressure reducing valve, if you are interested in replacing your Leaky Faucet with a new one, or just need repair or advice, let us know and we are glad to help.If you have a small leak underneath your sink, it can become a nuisance, not to mention the damage it can do to your property. We are equipped with the tools and expertise necessary to repair any leak and give you peace of mind. If you have questions or need additional help, please don't hesitate to give us a call. Our expert plumbers are experienced in all types of repairs. Let our plumbers help you with your PRV Install/repair today!